Block Lucy at Rain and Cupcakes Book Blog? This will prevent Lucy from sending you messages, friend request or from viewing your profile. They will not be notified. Comments on discussion boards from them will be hidden by default. Sign in to Goodreads to learn more about Lucy. We’d love your help. Let us know what’s wrong with this preview of The Fairer Hex by Lidiya Foxglove. We’d love your help. Let us know what’s wrong with this preview of Infinity Chronicles Book One by Albany Walker. We’d love your help. Let us know what’s wrong with this preview of Stained Egos by Helen Scott. We’d love your help. Let us know what’s wrong with this preview of Royally Bitten by Lexi C. Foss. We’d love your help. Let us know what’s wrong with this preview of Chastely Bitten by Lexi C. Foss. “Tristan’s Mom: What are these? Jeff: If that Ferb one climbs my legs again I’m drop kicking it. Tristan: That’s child abuse and I’ll press charges. Besides, they just miss their mom. Jeff: Because you’re making your kids live in a broken home unnecessarily. Tristan: I’m not talking to you anymore. Jeff: Fine, as long as you to talk to her. Jeff: Nope, not gonna do it. Tristan: I’m warning you man. Jeff: You miss her too. Jeff: So do something about it. Tristan: Happy? Last night was miserable and I think it’s too late. Jeff: You still have a 12 year old ace in the hole. Tristan: Saving it as a last resort. Tristan’s Dad: Honey, do you have a clue as to what they’re talking about? Tristan’s Mom: No and I don’t want one. Jeff: I’m just helping my nieces get their parents back together. Dude, it’s time. Make the call. wake up with the head of my horse in bed with me tonight. the risk of sleeping with the fishes. Lucy at Rain and Cupcakes Book Blog has read 59 of 90 books. Lucy at Rain and Cupcakes Book Blog read 112 books of her goal of 90! Lucy at Rain and Cupcakes Book Blog read 98 books of her goal of 90! Lucy at Rain and Cupcakes Book Blog read 256 books of her goal of 200! 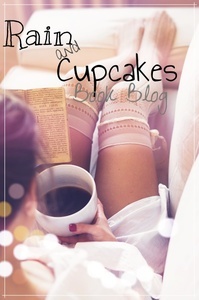 Lucy at Rain and Cupcakes Book Blog read 389 books of her goal of 200! Take a look at Lucy’s Year in Books. The good, the bad, the long, the short—it’s all here.